obviously not identical but clearly inspired. 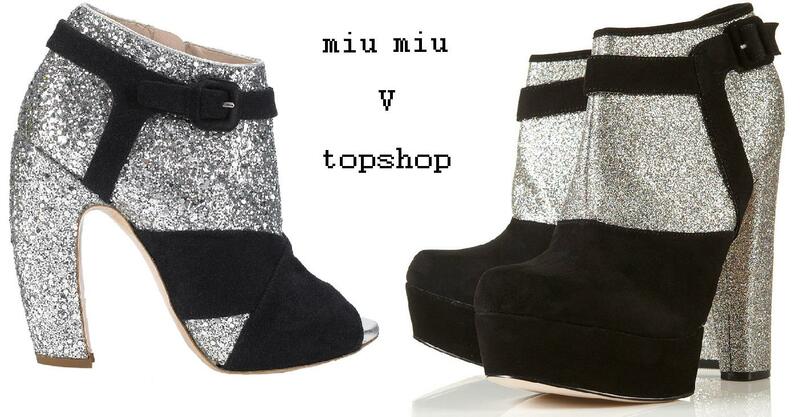 the topshop’s aren’t as chunky glittered as the miu miu ones, but i think they’re a good effort. i love the harness detail, but the gravity defying height worries me, they’ve got a 6.5 inch heel! impressive.